Before I moved to New York, and I so desperately wanted to live here, I'd pop in a Nora Ephron movie and just be transported. For the times that I thought I might never live in the city that I felt BELONGED to me, You've Got Mail was an instant mood-lifter. Especially in the fall (which the movie showed off to perfection), because I dreamt of fall days in the city - boots, a scarf, a wool coat and reading a book in Central Park. Then I discovered her writing, books, and blogs, which I couldn't get enough of. I once read that her first apartment after college was at 110 Sullivan Street and went to find it. My first apartment in New York was one street over, and I felt a sort of kinship with her - that we had both started in the same neighborhood of the city, decades apart. She was wildly successful, brilliant, hilarious, a champion for women in business, and knew how to appeal to our greatest desires through her movies and writing. 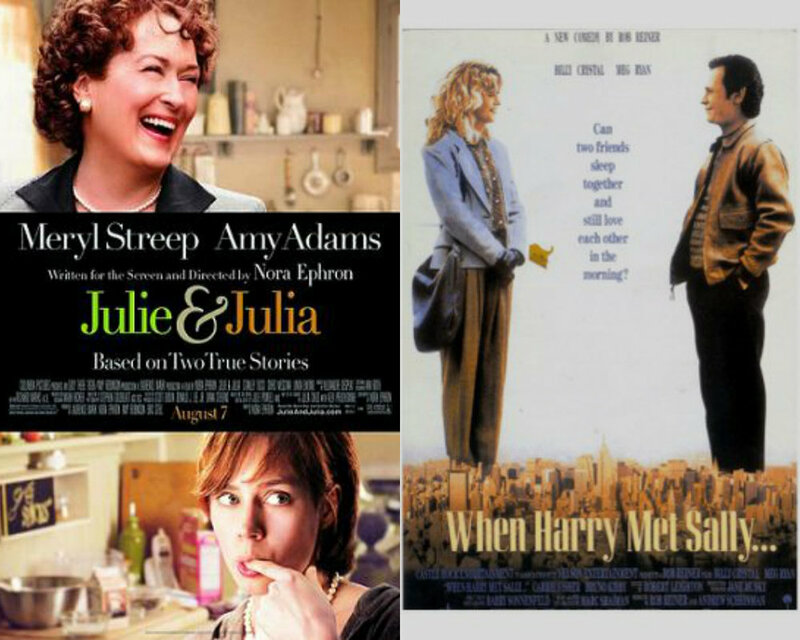 I've kept a list of my favorite Nora Ephron quotes for years so here are a few, and where I found them. "The other night we were coming up the FDR drive and Manhattan was doing its fabulous, magical twinkling thing and all I could think was how lucky I've been to spend my adult life in New York City."